The law amends the state’s Family Court Act and the Domestic Relations Law. Before the amendment of the Domestic Relations Law, a final award of maintenance was determined by the court based on a list of factors. The court was given great leeway in determining the amount and term or (length of time to pay) of maintenance. The end result was great disparity from judge to judge, even within the same county. Some judges would award large and long term maintenance, while the judge in the next court room would order no maintenance on the same fact pattern (such as the length of the marriage, and the educational and earning capacity of the parties). The new law sets recommended percentages and terms of maintenance. If the court wants to deviate from the statutory scheme, the judge must explain the deviation in a written set of findings. As was the case with the prior statutory scheme, the spouse who receives maintenance payments must add them to their annual income reports, and the spouse who pays maintenance payments may deduct them from their annual income reports. These numbers – with maintenance accounted for – will then be used to calculate the amount of child support to be paid. The maintenance provisions must also make automatic adjustments to child support when maintenance payments end. The new law extends a changing attitude towards maintenance in New York. Years ago maintenance was intended to keep the less monied spouse living in the pre-separation standard of living the parties had enjoyed. Over the years, the law slowly evolved to a needs-based system, with maintenance awards being shorter in duration, the amounts less and less, and many times directly tied into the remedial efforts needed to get the less monied spouse into a position of self-support (which need not be equal to the pre-separation standard of living). Now, with the term of maintenance being a percentage of the marriage, and the amount of maintenance being directly tied to both parties’ income, it’s becoming a system to equalize earnings for a short period of time for the less monied spouse to get to a level of income independence. A party can receive both an award of maintenance and an award of child support in many New York divorce cases. The two payments have different goals. Maintenance is designed to be a temporary method to lead the less monied spouse to income independence. Child support is paid to provide adequate support for children (for food, shelter, clothing, medical care and child care) until the child emancipates. Of critical importance, the new maintenance statute doesn’t apply to all cases. Pending cases receive treatment under the prior statutory scheme. It’s important that both parties receive advice from knowledgeable counsel on the impact of the new statute on their legal matter. 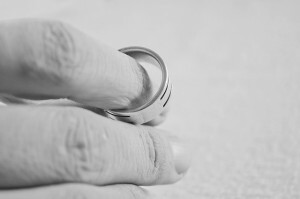 Divorce actions filed before the enactment date of the new statute can be withdrawn and re-filed in some instances, providing for a new treatment of the maintenance obligation. Or, if the old statutory scheme better protects your interests, you may need to file a counter-claim to make sure that the matter isn’t withdrawn. If you have any questions about the new law, don’t hesitate to contact the Law Offices of Paul A. Boronow, PC. We can be reached at (516) 227-5353.